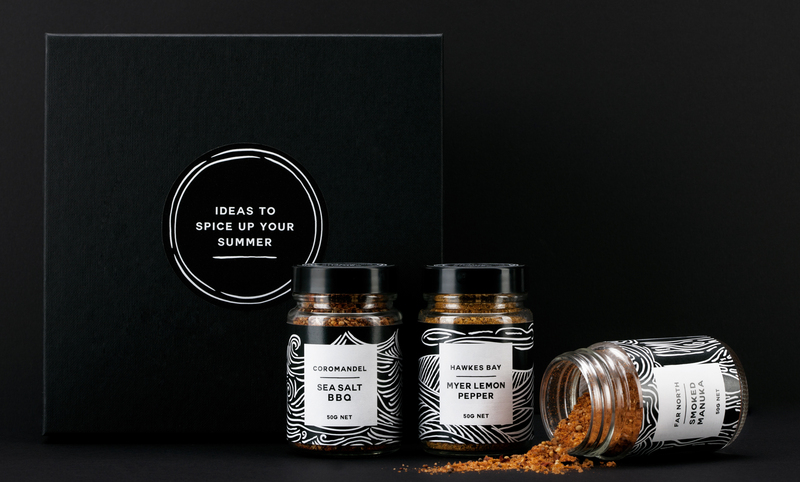 The brief we set ourselves was to create a fun, delicious and useful festive gift for valued current and future clients that demonstrates how we bring products to life with a tantalising pairing of ‘out of the box’ ideas and finely executed packaging. We created three distinctive seasonings – Far North Smoked Manuka, Coromandel Sea Salt BBQ and Hawkes Bay Myer Lemon Pepper – to showcase New Zealand ingredients. 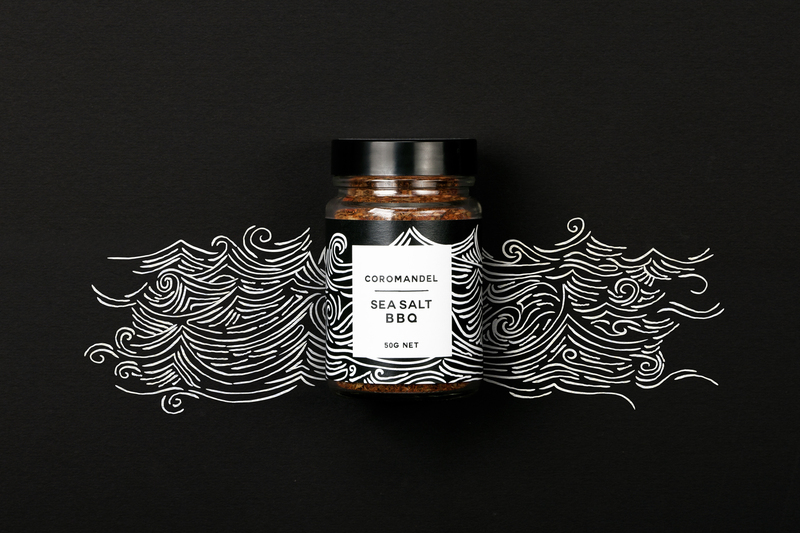 Then we combined these three classic blends in one gift box – taking each recipient on a nostalgic Kiwi road trip for the taste-buds. 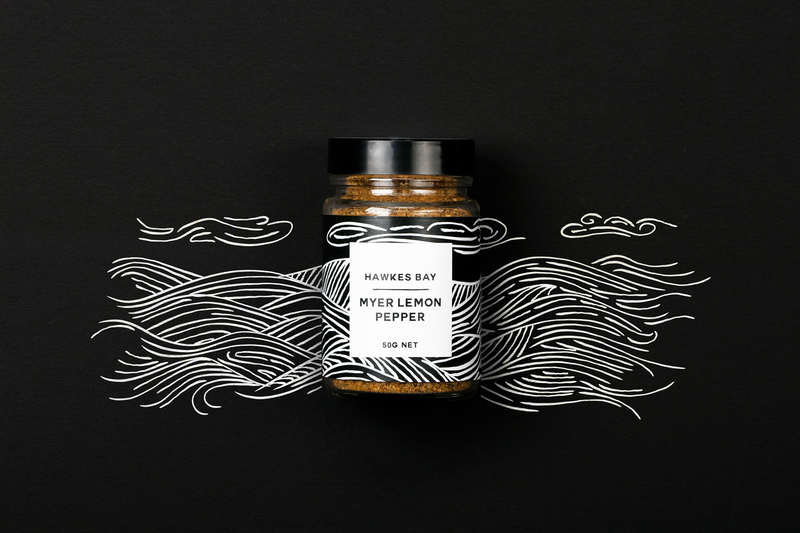 Using the senses of taste and smell to evoke the great Kiwi summer, we wove a story around the three spice mixes, of a culinary journey from the majestic, Manuka-blanketed Northland bush, along our endless coastline and through the citrus orchards of Hawkes Bay. The result was a beautiful, useful and unique gift that has garnered both compliments and requests for ‘seconds’.